Styled with roxboro camisole . These are slim-fit joggers with slash pockets and ankle cuffs. 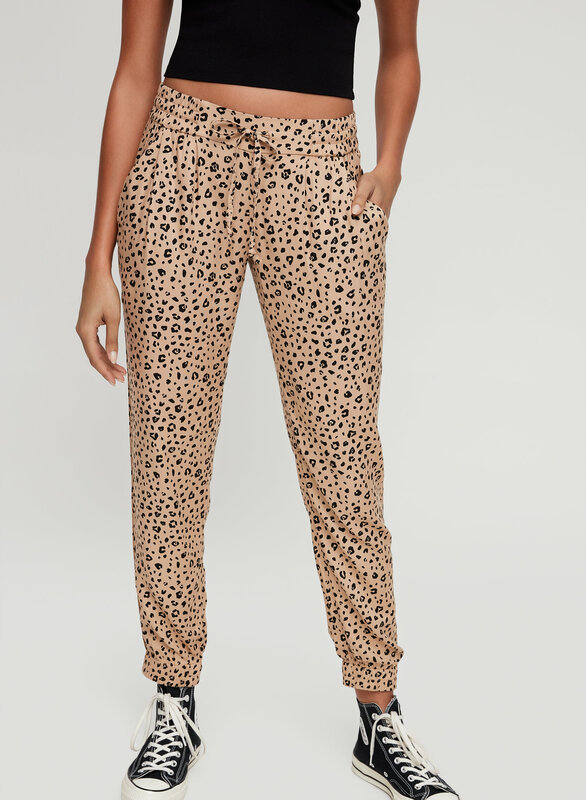 They're made with a lightweight twill that drapes nicely. 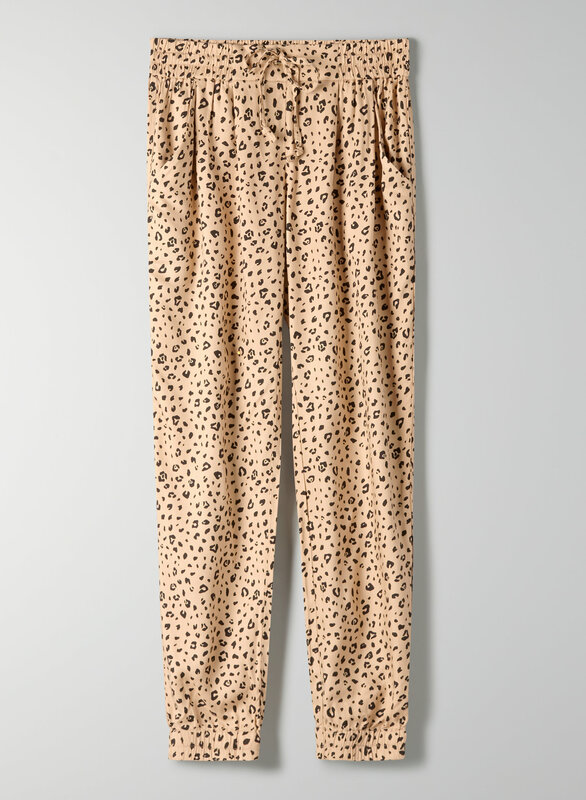 This version of the Los Feliz comes in a simple leopard print.